As professional Logan removalists, it is our foundation of knowledge & experience that gives us the ability to satisfy every clients requirements from start to finish, whether it is furniture removals,vehicle transport, your delicate piano or backloading removals. Removalists in Logan are few and far between as there are not many interstate removalists who travel to Logan and from Logan on a regular basis. Anyone planning to make a change of residence, or workplace, will have a common question in mind – how to manage all the packing and moving single-handedly; how and where to search for a moving company to take care of all your interstate removals needs. Moving from one place to another can be quite an ordeal – the packing, moving, transporting, and then unpacking of furniture and individual items. Doing it all by yourself is tough, no matter how many of your family members or friends you gather to help you out. Besides, a good number of helping hands isn’t all…knowledge matters and quality rules! Roadways Removals is always on the road helping families and businesses move interstate. 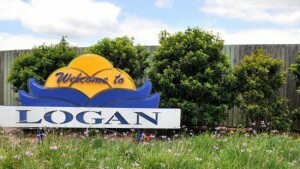 From Logan we can help you move to any major town in Australia. If you have flexible moving dates you can even take advantage of our backloading interstate furniture removals. From small moves (under 5 items) to moving your entire house we can tailor an interstate furniture removal service to your needs and budget. Call us today on 1300 799 902 for expert Logan removalists.